Lately I've been thinking about how much there is to learn about tea. Tea education is a beautifully infinite thing. No one can truly know everything about it. There are those that can dazzle with their tea knowledge, and while I strive to be well educated, right now I'm happy with my quiet feelings for tea. There are those that can taste every little nuanced flavor and liken it to the most esoteric ingredient. I know what I like, and I like trying everything. I know what I don't like, but I still want to try it all. I drink and feel, and love, and express. Words flow onto the page when I think about the flavors and sensations. Tea gives me an opportunity to focus on myself, focus on how it feels to prepare it, to drink it. To meet others that find solace in the same diverse beverage is a a unique kindred experience. Tea people immediately share a special bond. There has been some frustration in my world recently, and having the opportunity to escape by sipping and talking tea has been a huge comfort. A spiritual diversion. After a cup of tea, things look brighter, more vivid, more hopeful. 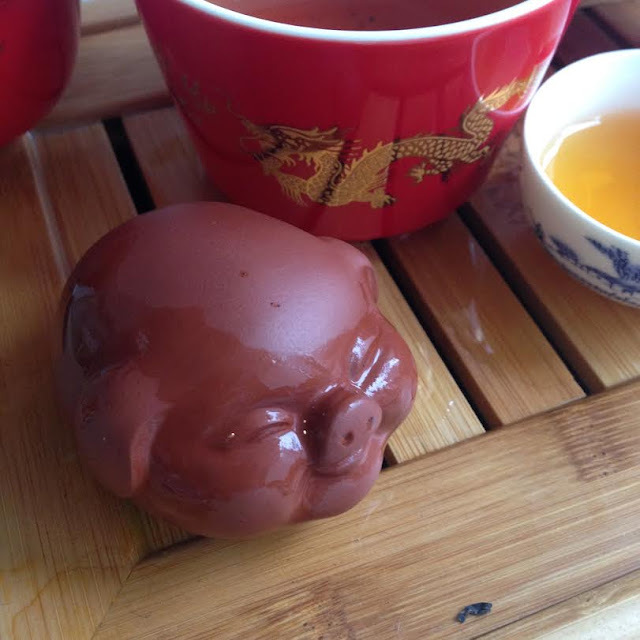 I often over-steep or under-steep tea in my gaiwan, but it's a learning process. I can't froth my matcha that well, but I'll keep trying. In the meantime, I'll slurp it up with a smile on my face. I enjoy sharing my love for tea with others, even if I have to check my notes before we discuss. I may not remember all the processing steps in a particular tea, but I'm happy to share a cup with you, and we can learn about it together. My young daughter has taken an interest in tea. She can identify the basic types, and loves tasting it. I'm proud of her, but happier that it brings us together. We taste tea, and then end up discussing something completely unrelated and more important. The natural flow of togetherness. A few co-workers and I have been gathering to taste teas, learn, and converse. The curiosity, and camaraderie helps strengthen us. It's a time to relax and enjoy the group dynamic. Of course, knowledge is key to producing, processing, selling and sipping tea. Educating yourself is important, and so is respecting how others feel. 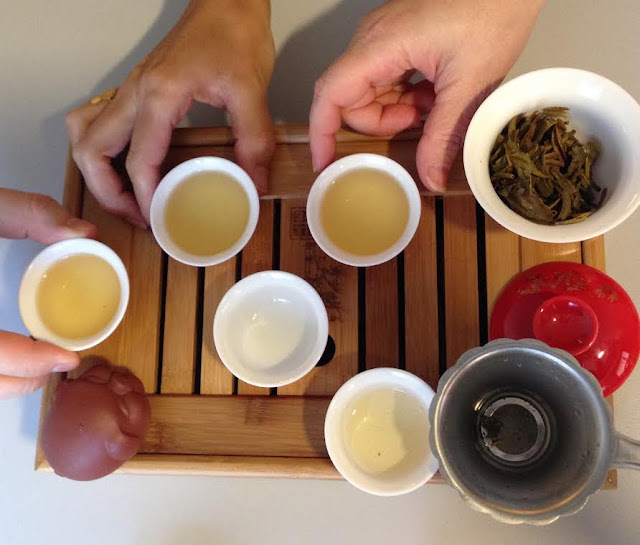 The journey of tea education should be one of happy discovery, not shame or frustration. There are many loving people involved in the tea community, and they people help bring joy to the world. However you come to tea, whatever you like about it, it's right. As long as it is touching your life and you are enjoying yourself, it's right. True enough and well said. Thank you for writing about the personal and inter-personal benefits of tea, Sara. This essay is eloquent. Thank you for the kind words Georgia!